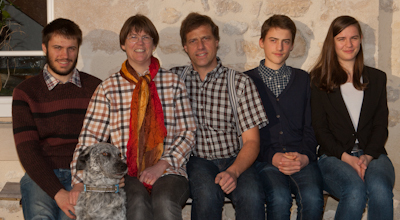 In 2010 we bought the winery Vignoble Chaumont in Bégadan including the two Châteaux LASSUS and LE REYSSE. 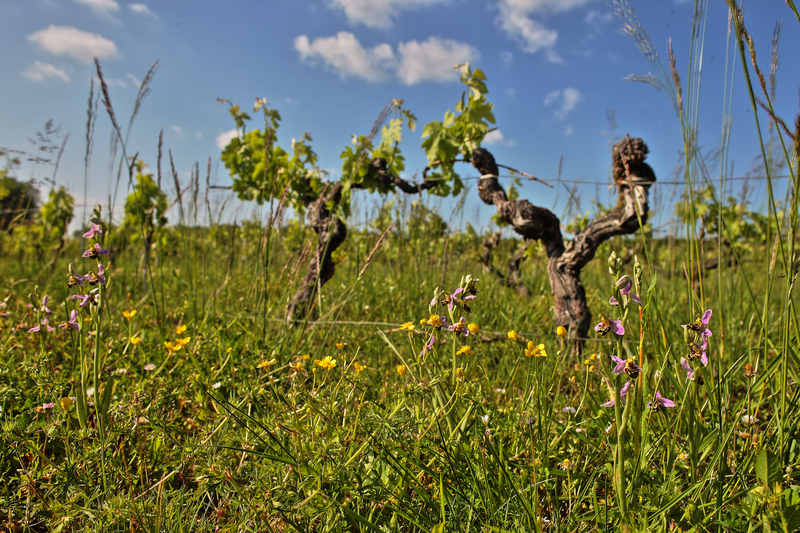 In 2011 the winery Vignoble Boyer in the neighboring St. Christoly with the two Châteaux CLOS DU MOULIN and MOULIN DE LESTAGNE followed. 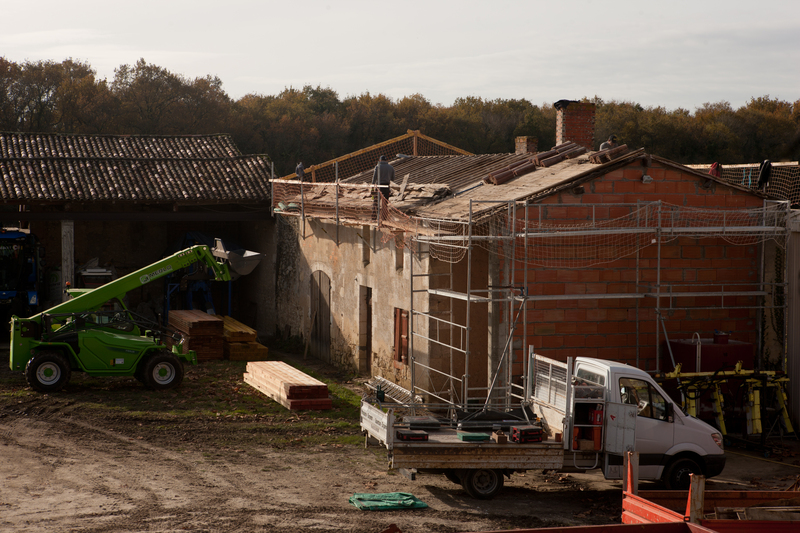 Significant changes and renovation of the facilities and buildings established a nice co-operation between both wineries continuing to work independant. 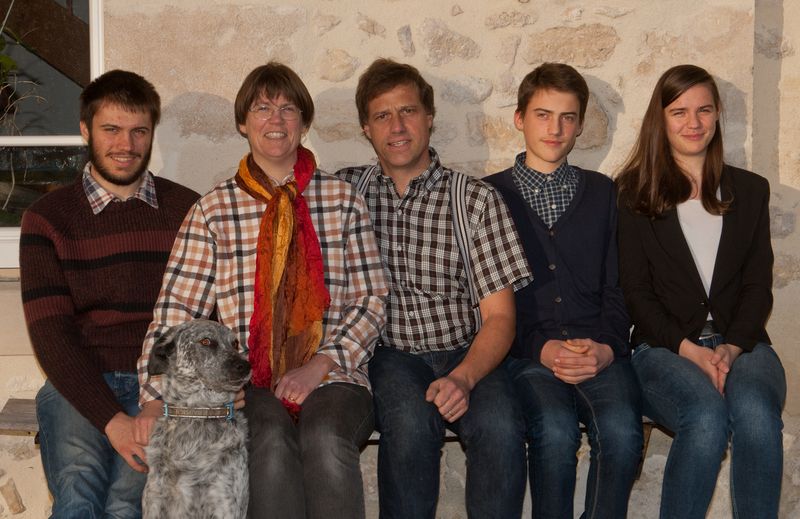 Since 2011 Château LASSUS is our family seat. 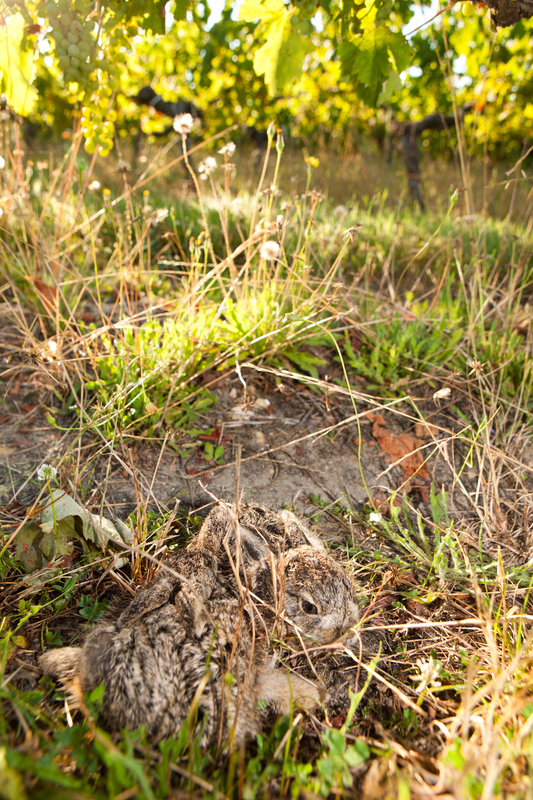 Our intention is to make excellent wines in a sustainable way within a natural environment well preserved. Many vineyards are surounded by hedges and waters such as channels. 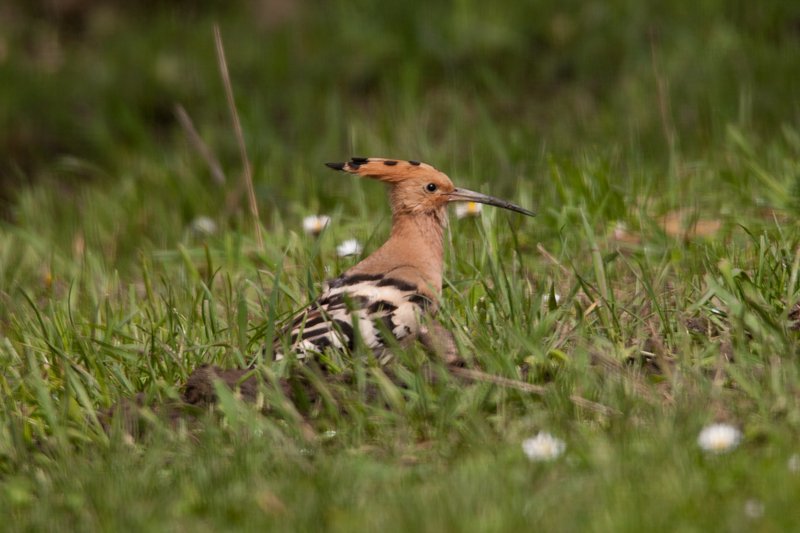 A significant part of the property belongs to the Natura 2000 project. Such diversified area structure accomodate exceptional flora and fauna. We found ten native orchid varieties growing on our winery. They grow between the vines, on the meadows and in our forrests. 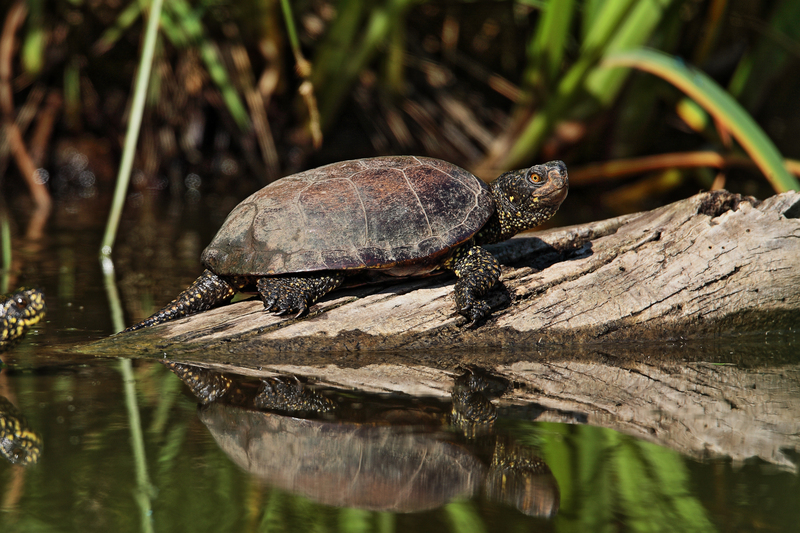 There are plenty amphibians such as tree-frogs and salamanders as well as turtles. 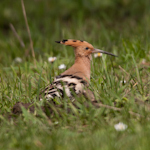 Also storks, owls and raports find a good livelihood. 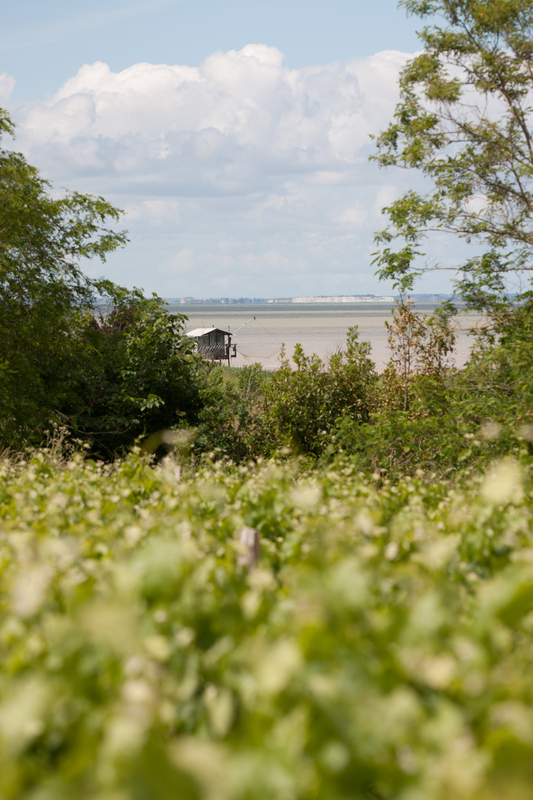 Since November 2013 our winery is ‘AREA’ certified (this is a certification for environmental friendly cultivation and winemaking). 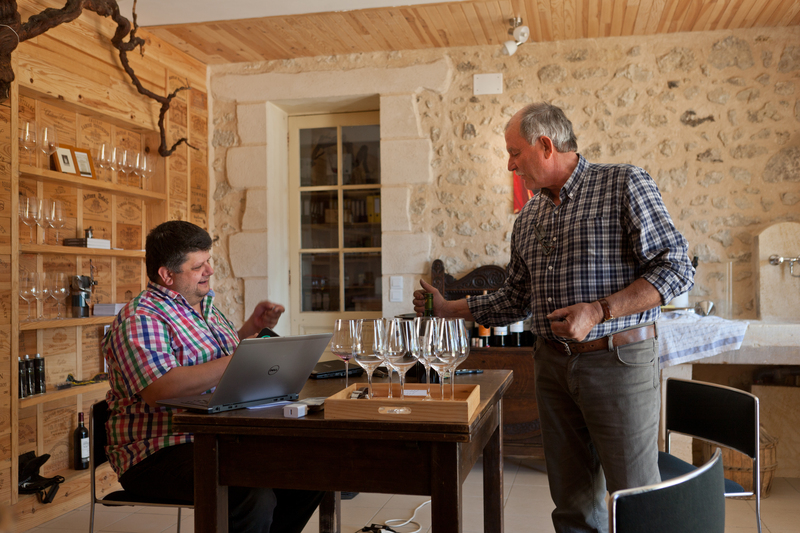 Terroir, cultivation of vines, vinification and barrique aging are realized with personal efforts towards our quality philosophy. 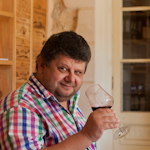 The result is a typical Médoc-Wine with a unique finesse, high level of concentration, balance with a tight structure and length. Our wines provide a significant aging potential. 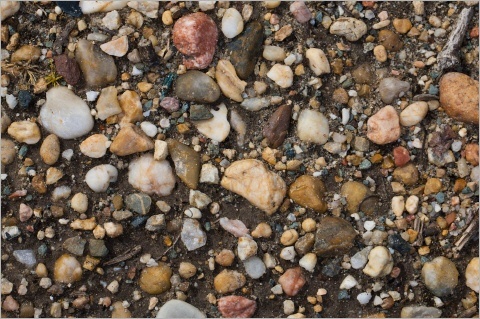 Deep grounded gravel, partly with clay layers in the underground Kies-Böden as well as limestone plateaus are the starting basis. 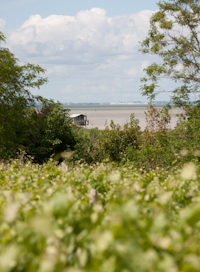 In addition a particula climate influenced by the Atlantic ocean and the Gironde river. 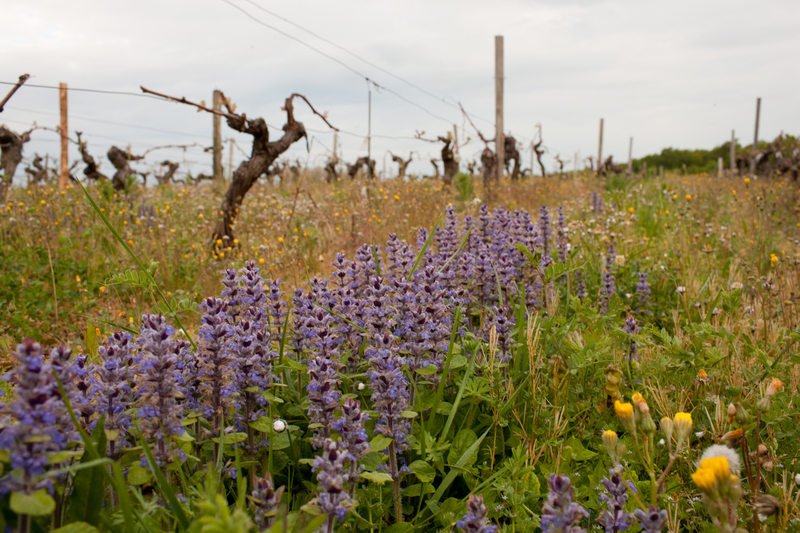 The careful cultivation of the vines in the different vineyard locations is according their specific requirements. This complete the complexity of our terroir. 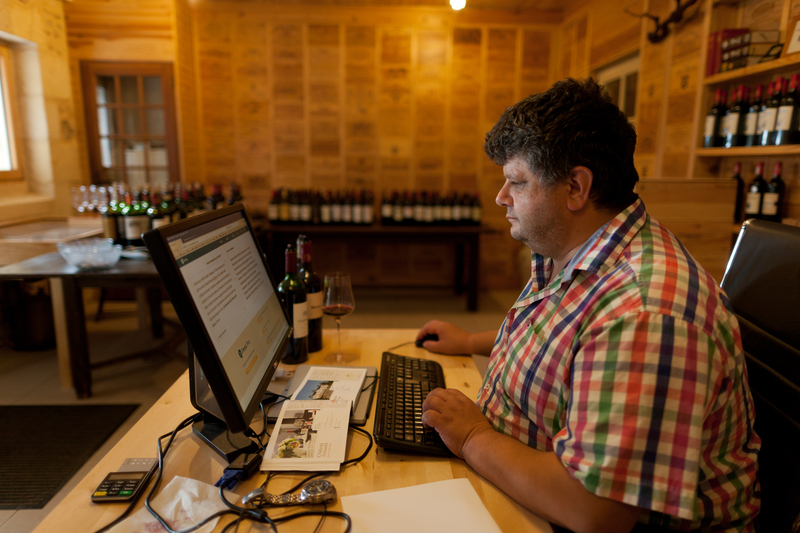 That is how great wines are made. 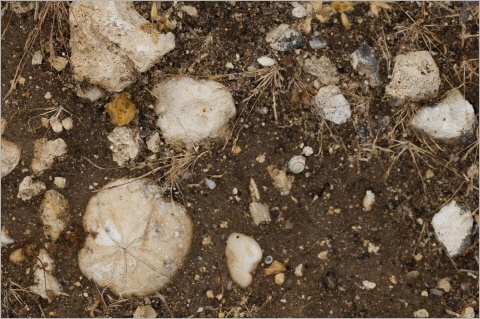 The described soils are excellent draining. 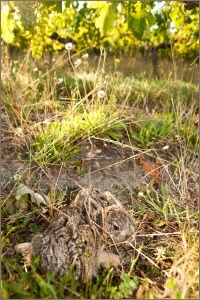 This is the reason for the very deep rooting of the vines, else they would not resist the draoght periods. 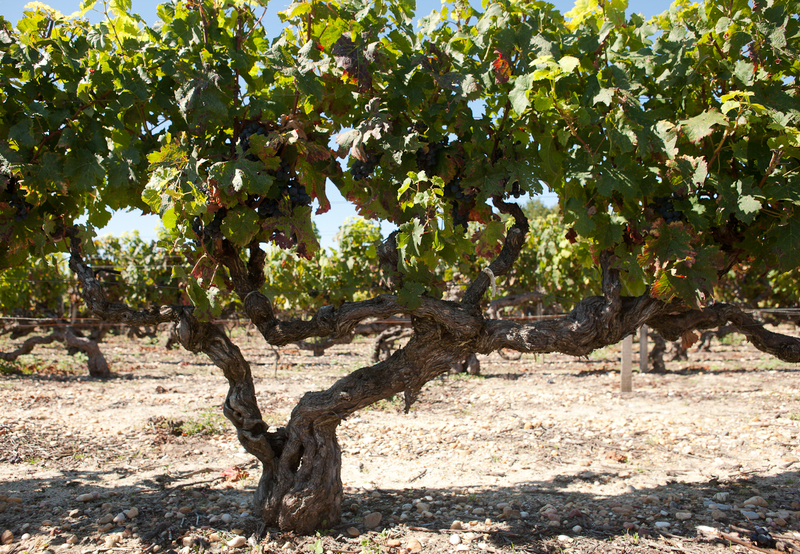 The age of our vines is exceptional high, accordingly the root system is very well developped. We have one vineyard wich vines planted bofore 1917. Such old vines are not as productive in quantity, however the quality of these grapes is exeptional with extreme high grade of complexity. During the season’s different cultivation techniques are taken such as bud, leaf and grape cuttings. 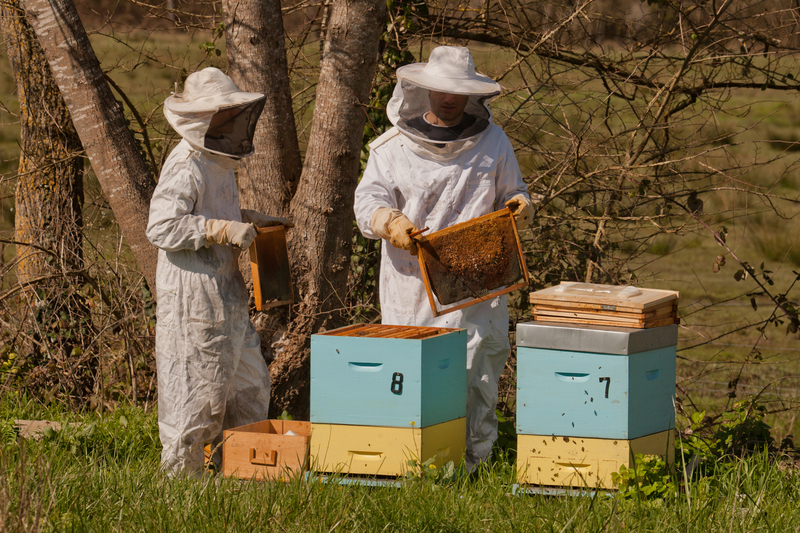 This is to ensure air circulation through the vines for healthy growing and maturing. 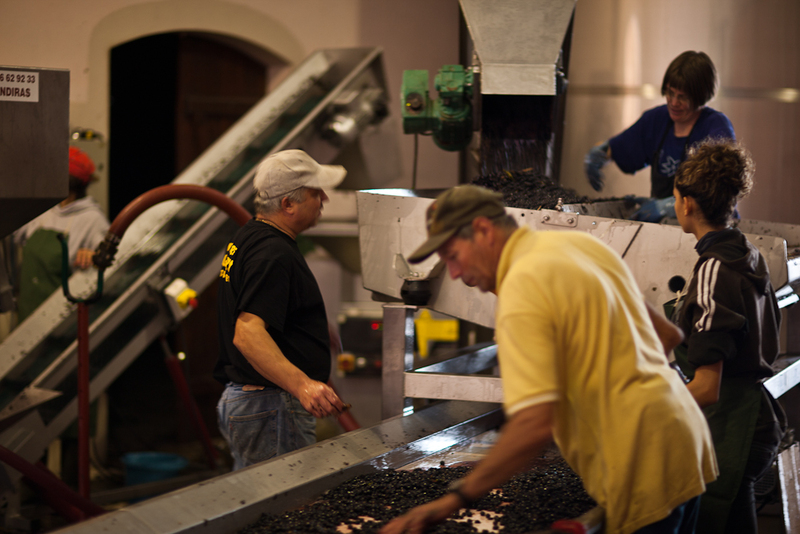 These health supporting and yield restricting measures are taken to ensure quality wines. Before grape picking, we pas once more through the vines selection from each these grapes we do not prefer to select. Those we let just drop to the ground. This ensures fast picking of healthy grapes at top maturity which is during three days, even if the weather conditions a difficult. All this is to ensure healthy mature wine berries for vinification. 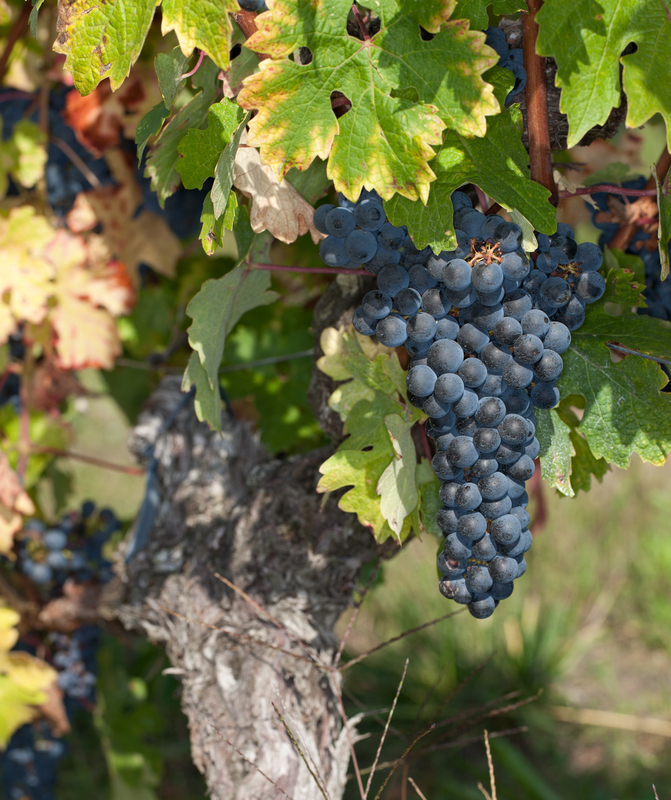 All vegetative parts as well as non-mature berries are to be selected out of the berries for vinifiaction. This we proceed over several steps with technical support and significant manual work force. During this process we separate in two steps the berries from the juice generated. The juice is cleared separately. After a pre selection the grapes are destemmed, then they go through the automatically selection process and finally comes the manual selection by minimum four persons. This is to ensure that proper berries only come to the vinification process. 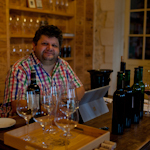 Important investment in the vinifikation since 2010 resultet in significant quality improvement of the wines. 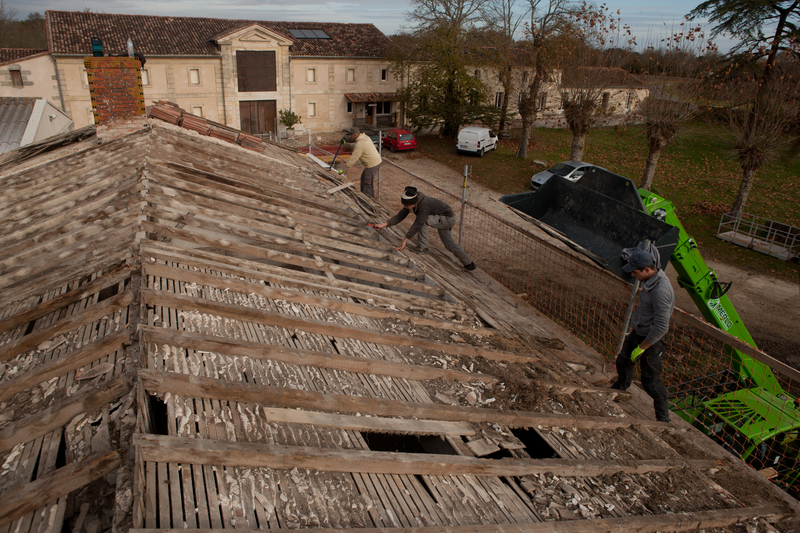 The traditional Médoc extraction methods ‚remontage‘ and ‚delestage‘ in accordance to the fermentation process lead to a high grade of selective extraction of fine tannins. The possibility of temperature control secures the process stability and ensures to maintain the fruity aromas. The result is a rich wine with concentration and perfect balance between fruit and smooth tannins. 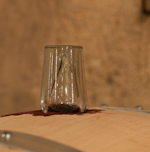 Already during the spontaneous lactic-acid fermentation, just after the subtraction of the grape pulp, the wine comes for the first time into contact with French oak. The fining is without the usage of collage agents. As such we need to process this clearing step in handcraft with skill, destines and patience - repetitive until the wine is clear. 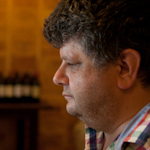 The outcome is a pure, autenthic and natural wine - simply vegetarian. Our Barrique inventory is of best French oak from the forests Allier and Tronçais, with specific toasting according the different wine lots. These barriques are renewed every three years. 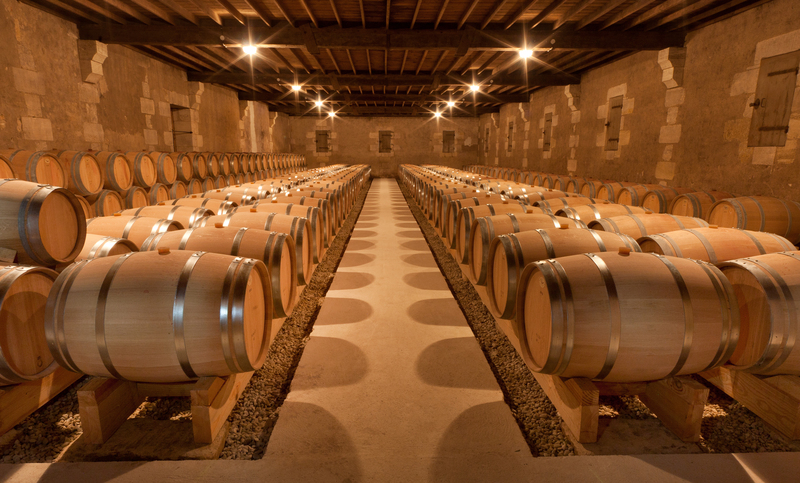 During barrique aging the wine lots remain separated to allow each specific character its best development. This is to get the best basis for the assemblage finally. A herd of herford mothercows/sucklingcows belong to our winery Kriterien. 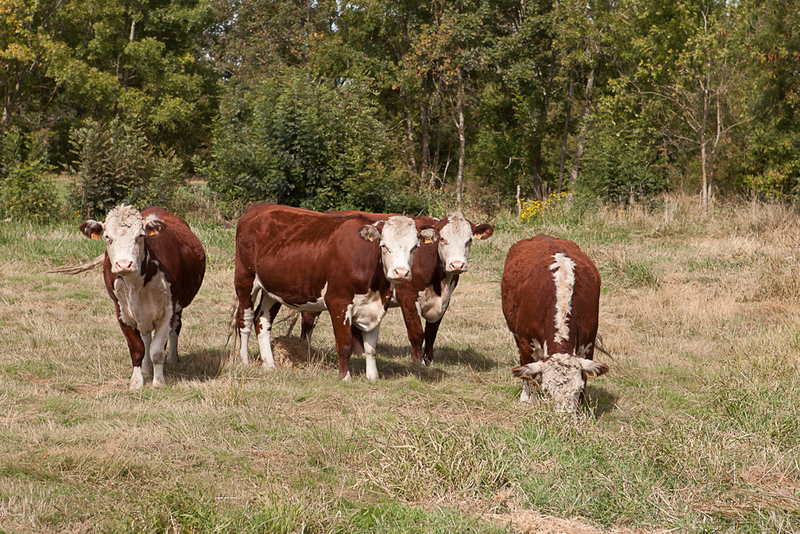 They care about the natural pastures. 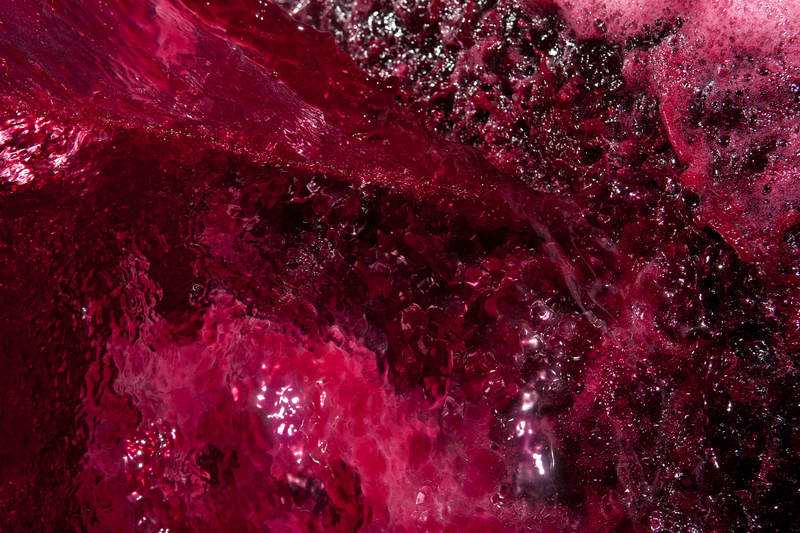 Very high concentrations of ingredients such as sugar, tannins, anthocyanins, pose a challenge for vinification. 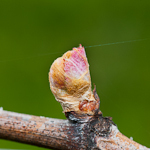 After all, the potential is to be shown in the quality and maturity of the wine. 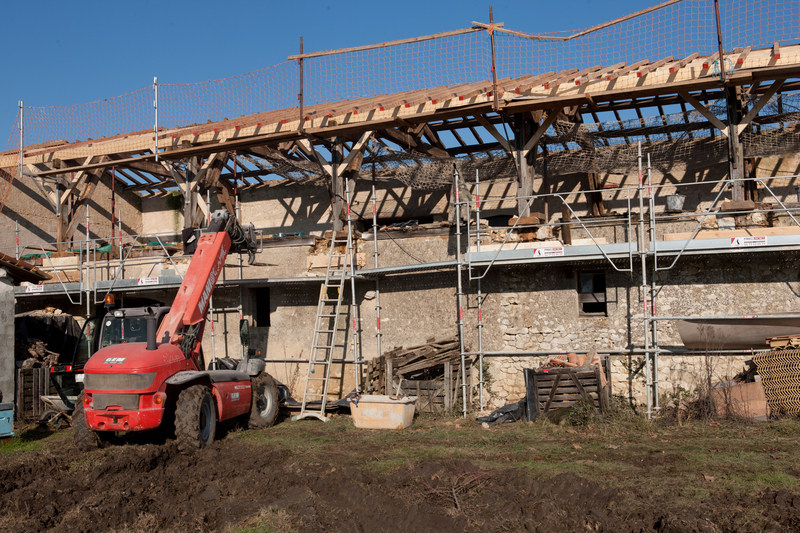 The roofs of the outbuildings get finally renewed. Now it's the old cowshed's turn. 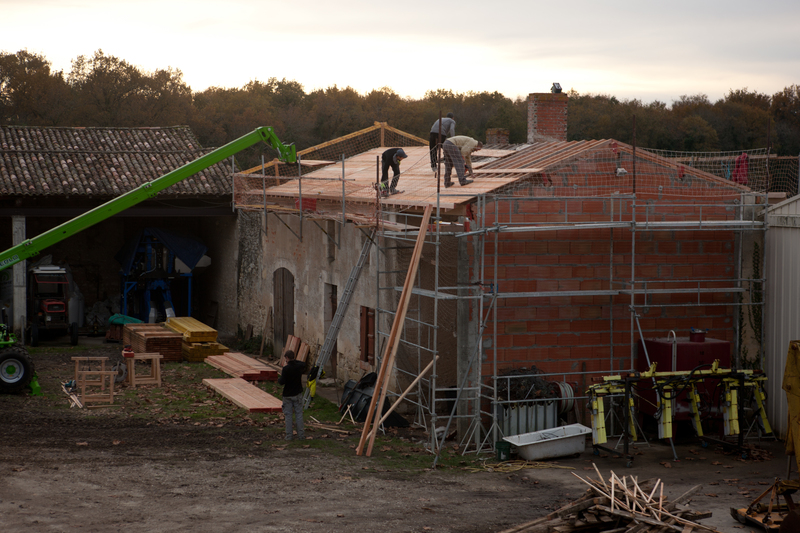 The work on the roof truss is more complex. On 11th of October we finished picking. The grapes were in perfect health and mature conditions. The volumes is far below expectations however the quality is great. 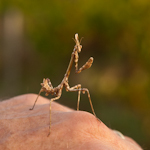 This strage mantis came in with the berries and got released between the vines. 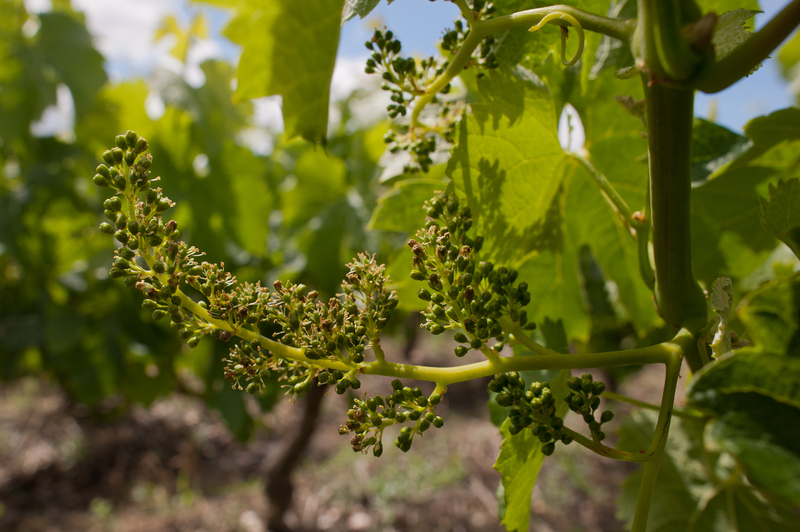 The first Merlots along the gironde river are flowering. We caught up form the spring-delay we had earlier this year. These bats sleep all day in our Chai Barrique well hidden under the roof. 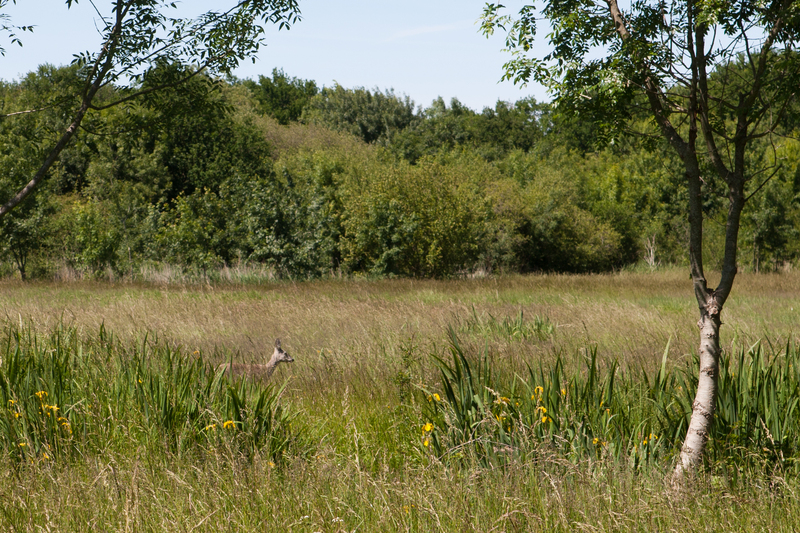 Two deers well hidden in the high grass. 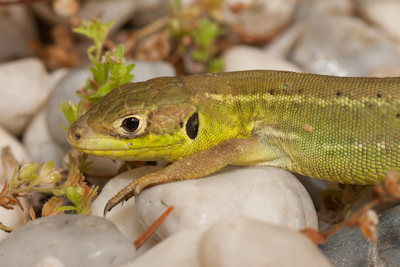 One of them I could picture. 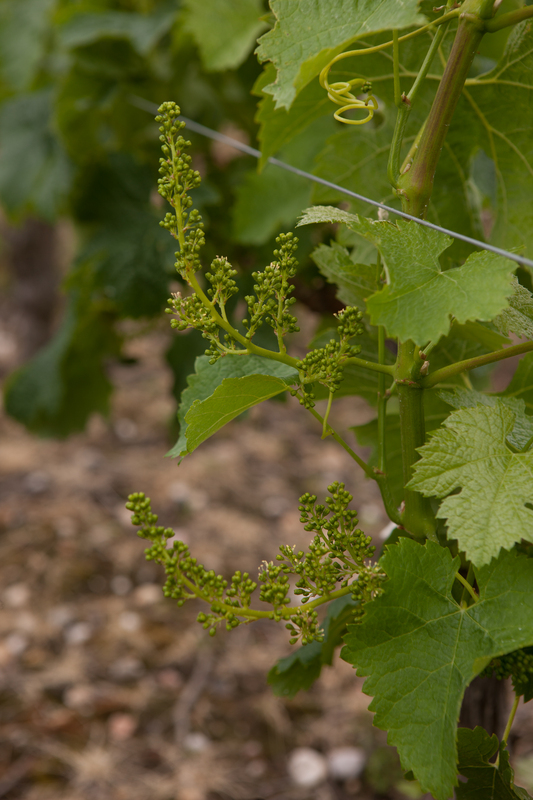 Today I found the first flowering of the vines / Merlots. This is quite early. The weather forcast for the coming week is promissing - warm and dry. Flowering should be just perfect. 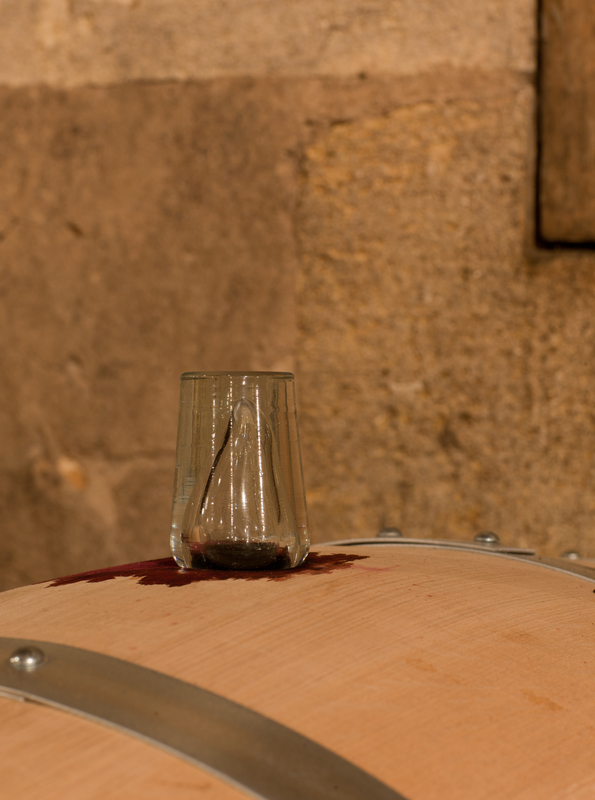 The Cabernet and Merlot for LE REYSSE 2016 have not jet finished with the fermentation. The last parts of sugar remain to be transformed. Since January this is going in the barriques and takes long time due to the low temperatures. I check this regulary. 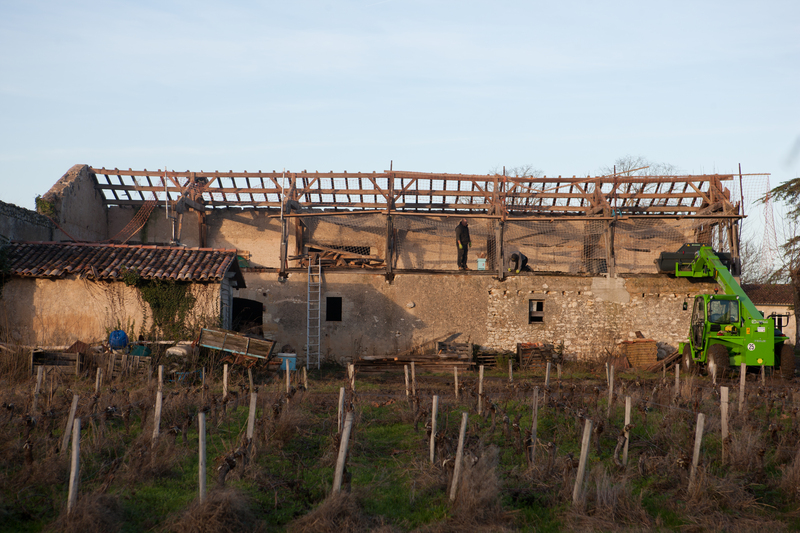 The Frost of the last days had only minor damages on our winery. This was very close to a disaster. 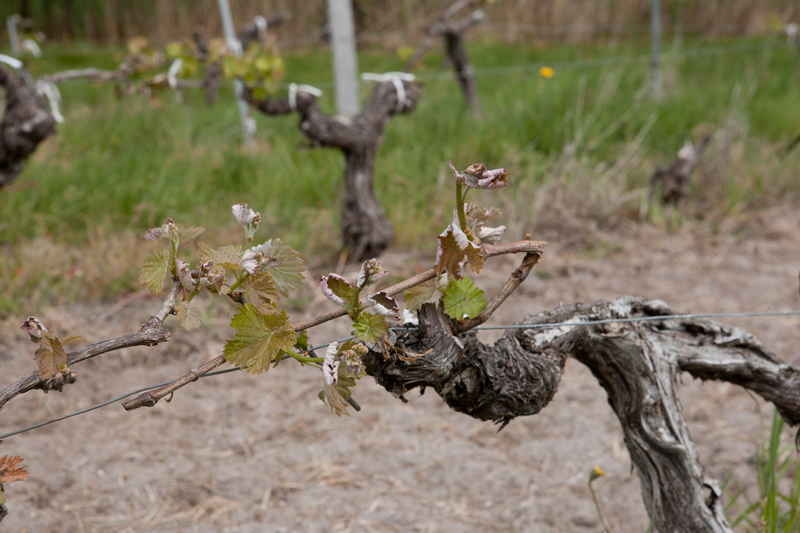 Only a view vines have some leaves damaged and for sure they will recover well. I do not expect any significant impact on our vintage 2017. Our luck is the proximity to the Gironde. 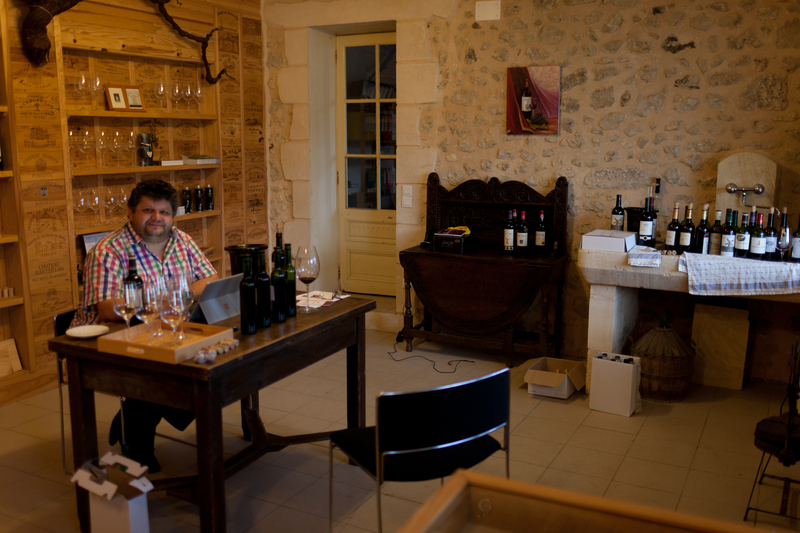 End of april Yves Beck visited us to taste different wines. 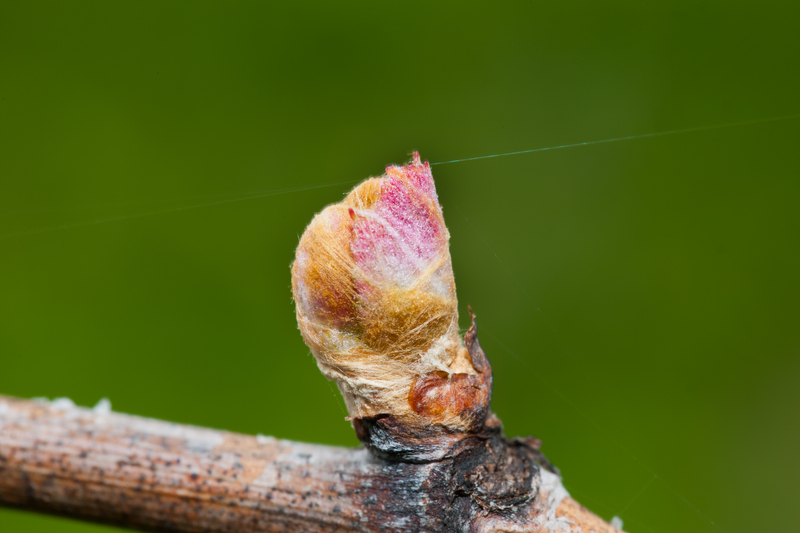 The first buds start growing on our vines. Again this is quite early, just like last year - 2016.